Every now and again we find that there are apps to do something that a standard app already does, but takes it up a notch to something even better. App messengers are just one of those instances. Sure you can text from your mobile device, but can you do it from your desktop or iPad? No! Can you add many neat things like pictures and videos easily? No! Can you connect with people you don’t already know? No! Many of these features are easily accomplished with the other messenger apps, along with even more features than you’d imagine. Here are ten very popular app messengers worth taking a look at with features that will go far beyond your standard texting ability and allow your texting to be done without using any text limits you may have on your cell phone plan. Take a look and be amazed! 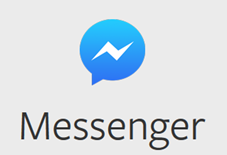 Facebook Messenger is just like texting, but you don’t have to pay for every message (it works with your data plan). With it you can get to all your Facebook messages without having to open Facebook and you can bring your conversations to life with stickers and photos. Furthermore, you can have group conversations and share your location if you like. Another great feature is the ability to make free calls, even to friends in other countries. Don’t worry about it being invasive – you can turn off notifications when you need a break, have to work or going to sleep. The app has a 4.2 star rating on Google, 4 star on Apple and 4.5 on Windows Phone. It does not offer video calls as some other apps do and it also does not offer any games. It just might be popular because it doesn’t offer games, however, so that might not be a deal breaker for many users. Besides the links given for Apple, Android and Windows Phones, this app is also available for BlackBerry, Nokia S40 and Symbian – the links are given on the developer site. WhatsApp Messenger is a cross-platform mobile messaging app that allows you to exchange messages without having to pay for SMS. The app uses the same Internet data plan that you use for email and web browsing so if you are connected to Wi-Fi you are especially in great shape. 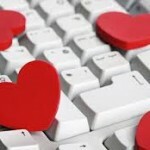 You can also create groups and send each other unlimited images, video and audio media messages. It costs just $.99/year after a splendid first free year to try it out. It is a great way to stay in touch with international friends because there aren’t even any pesky international SMS costs. The app uses your address book to automatically connect you with your contacts and will automatically display under Favorites all those that already have WhatsApp Messenger. WhatsApp is always on and always connected when your phone is on, and will save your messages offline for when you have it turned off. The WeChat app is also available for other devices including BlackBerry and Symbian with all links available on the developer’s website. It works over your phone’s existing data plan or any Wi-Fi connection. Besides instant messaging, it also offers a real walkie talkie mode with up to 40 friends so you can chat with your friends or with people nearby. The newest update to the app includes real-time location sharing with walkie talkie, a special notification if you are mentioned in a group chat, ability to share sticker sets with friends and the ability to link and show your LinkedIn account. A nice feature is the ability to back up chat history and restore it on a new device, although only 7 days of chat history is available for backup. Another really cool feature is the Drift Bottle feature in which you “throw” your voice or text message out there and wait to see who will pick up your “bottle” and reply. The app has received 4.2 stars on Google, 3.5 stars on Apple and 4 stars on Windows Phone. 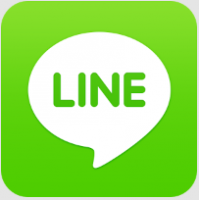 LINE has many different ways in which it can be used – in addition to Apple, Android and Windows Phone, the developer site also has downloads for Nokia Asha, BlackBerry, Firefox OS, Windows, Windows 8 and Mac OS. This is one of only a few that has a PC version. Not all features are available on all devices, however, but it is nice to have so many options including the ability to make real-time voice and video calls for free from your iPhone, Android or even your PC! Another neat feature is the Official Accounts feature in which you can add your favorite artists, celebrities, brands and TV shows as a friend to get exclusive news and coupons only available on LINE. There are tons of stickers available with 4 free sticker sets waiting to be downloaded by you. 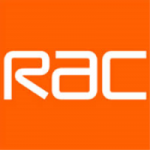 The app has earned 3.5 stars on Apple, 4.2 stars on Google and 3 stars on Windows Phone. Tango is another app that has a PC version so you can make free calls to anyone who has downloaded Tango to their iPhone, iPod Touch, iPad, android phone, computer or tablet. A unique feature is the ability to connect with not just friends, but their friends too – just like on Facebook you will have an option to connect with “people you may know” this way or use it to make new friends! It will also find friends that are nearby. Another nice feature is the ability to play a mini-game or share photos during a call. With features for messages, video and voice calls, games, music, photo sharing and finding new friends, this is a pretty decent app. Tango has received 4.5 stars on Apple, 4.3 stars on Google and 4 stars on Windows Phone. It is also available for BlackBerry although that version has only received a 2.5 star rating. Kakao is known for a number of programs and apps, which can be seen under “Service” on their website. They are another one of those on this list that also has a PC version. 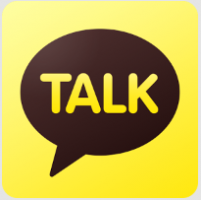 KakaoTalk is an easy, no-cost, multifaceted messaging app that allows you to send messages, photos, voice notes and your location. Chatting is really fun with an array of emoticons and sticker collections. There are a number of neat features including PLUS FRIEND for getting coupons & deals from your favorite brands and VOICE FILTER, a fun way to filter your voice calls with Talking Tom & Ben voice filters. You can also personalize your KakaoTalk with fun themes. 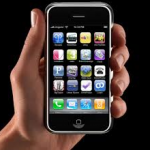 It is being used by 130 million users worldwide as a fast, fun, easy way to communicate. Since most users are based in Korea, you may find the app a bit different than you are accustomed to. The app has received 3.5 stars on Apple, 4.4 stars on Google and 2.5 stars on Windows Phone. GroupMe works on every device and even works over SMS. Since you do not need to have their app to use GroupMe, you can chat with a group without concern about whether they have the app or not. You can create and manage groups simply by sending text messages – the instructions for doing this are shown on the developer’s website. A nice feature is that even if you have a poor Wi-Fi connection, you’ll start receiving your messages via SMS instead so you’ll never miss a thing! Although the main purpose of this app is to have group chats, you can still take private conversations outside a group. The app is free and there are various emoji packs that can be purchased within the app. You can mute notifications when you need some peace. Share videos and photos, and also your location if you want to. GroupMe is part of the Skype family. The app has received 4.5 stars on Apple, 4.2 stars on Google and 4 stars on Windows Phone. Trillian is a modern instant message for home and work that prioritizes chat interoperability and security. They have a free version, pro version and even a business version. The free version is ad-supported. The Pro version is $20/year and includes an ad-free experience and cloud history. You can also get Pro for a lifetime fee of just $60. The purchases are per user, not per device. The business version is $2 per user per month for up to 500 users with a 30-day free trial. Sync ability allows you to start a chat on your iPad at home then continue chatting on your phone on the way to work, then finish off when you sit down in front of your desktop when you return home. You can chat with contacts on different networks, including Facebook, Skype, Google, MSN, AIM, ICQ, XMPP, Yahoo! and more. In Trillian 5.3 for Windows, you can now chat directly in full-screen games with their in-game chat feature. All desktop version also come with a fully-featured message history viewer, including searching and filters. The app has received 4 stars on Apple and 4.1 stars on Google. 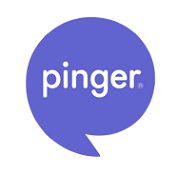 Pinger offers a number of versions including Textfree EX for iOS devices, Textfree with Voice for Android and a Web and PC version. With Textfree EX you get a free real phone number and can send free text messaging plus calling to any phone, including landlines and non-smartphones in the US and Canada. Your friends do not need Textfree to receive. Calling any phone does require minutes but you receive 60 minutes free to start and can earn minutes or purchase them. A nice feature is the ability to text or call back home from anywhere in the world as long as you have a data connection. With Textfree EX, you can turn almost any connected device into a working phone – send real SMS from an iPod, call from an iPad or bring an old phone back to life, or even call or text from your computer. The app has received 3.5 stars on Apple and 4.1 stars on Google. Kik was founded in 2009 by a small but passionate group of University of Waterloo students. It is the first smartphone messenger with a built-in browser so you can talk, browse and share with your friends. With Kik you use a username instead of your phone number as your identity so you’re in complete control of who you talk to. The app itself is free and there are tons of in-app purchases available for stickers and emojis to enhance your experience. Because there are some mature/suggestive themes in the app, they insist that users be 17 years of age to download the app. A downside of this app is that it does not have video or voice calling options. The app has received a 4 star rating on Apple, a 4.3 star rating on Google and a 4 star rating on Windows Phone. With so many mobile phone carriers now offering unlimited texting with their plans, you might wonder why having one of these apps is necessary. However, once you see the various other features involved, you should be convinced of the benefits that go far beyond free texting.